"For the love of it (or the roller derby play)" Photo credit: Craig Schwartz. If you’ve been patiently waiting for a play about roller derby, I have good news. 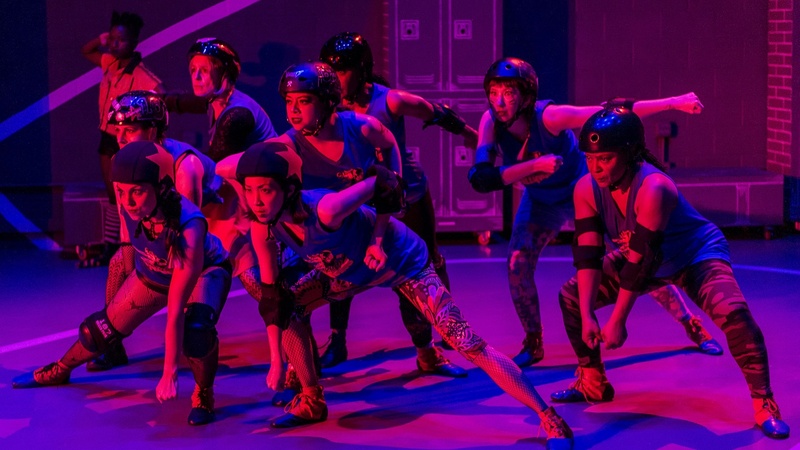 If you had hoped it would be a great play about roller derby - um…not so much. “For the love of it (or the roller derby play)” takes us inside the locker room of the Brooklyn Scallywags - the best female roller derby team in the league. Gina Femia’s play gives you a peek behind the scenes at women who go by names like Lizzie Lightning and Diaz De Los Muertos. Before you conjure up ancient memories of the roller skating musical “Starlight Express”, none of these derby girls is actually on skates. Instead, they’re dancing the action, spotlit to over-the-top music that would probably sound great in empty warehouse. This part is fun and oddly the only bit that’s really about roller derby. Yes, it’s a play about roller derby but it could just as easily be about any team sport. You’ve heard this story before - or rather, you’ve heard these three stories before. That’s right, there are three narrative lines. The first is the locker room chatter of the team. The second is made up of little personal vignettes about the out of uniform lives of our heroines: one’s a nurse, another is a law student, another’s a tattoo artist - you get it. Then the third is a challenged love story between our female protagonist, Joy Ride, and her long-time girlfriend. Joy Ride is the new rookie who finds herself and maybe a new lover through roller derby. The challenge is the play can’t figure out how to balance these threads or what it really wants to be. Part of that is the script and part is the production. There’s the roller derby which, ‘cause it’s a roller derby, is brash and like those nicknames a little campy. It comes with some heavy accents from an imagined Brooklyn. It’s flashy and loud. Then there’s the overly sentimental domestic stories which don’t feel earned and are so formulaic that they telegraph their plot points like a writer’s index cards pinned to the wall (here’s the scene where we see the soft side of the tough character; here’s the moment the relationship gets in financial trouble - again, you get it). All this is a shame because there are ton of talented women onstage. It’s also a shame because this is the first show of Center Theatre Group’s “Block Party” at the Kirk Douglas Theatre - so I really wish I could sing its praises. Maybe, it’s fitting that a big energetic play that can’t find it’s balance kicks off this mini-festival. When Center Theatre Group came up with the idea of having a “Block Party” it was essential and exciting: let’s take three of the best productions from LA’s intimate theatre companies and re-mount them at the Kirk Douglas for an encore. 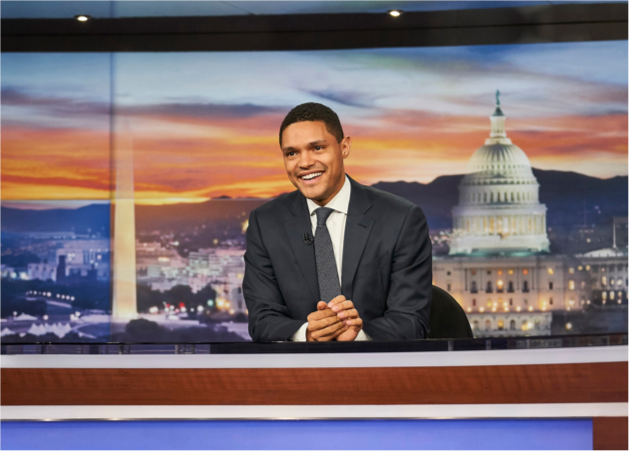 It felt like a celebration of the energy in small theater. Now, a few years in, LA theatre has changed and now other large theaters (The Geffen, The Wallis) have re-mounted productions with full runs - not the meagre two weeks like “Block Party”. What began as a “best of” - now feels like an obligatory round-robin of LA’s small theaters. If Center Theatre Group wants to lead the way, Block Party needs to evolve. “For the love of it (or the roller derby play)” plays through this Sunday - then the last two “Block Party” plays - “Rotterdam” and “Native Son” play at the Kirk Douglas Theatre in Culver City through April 28th.